Penn High School’s swimming pool is a three-part pool, with a wading area (6-inches by 2-feet), an eight-lane swimming pool (25 meters, 440,000 gallons of water), and a diving well (14 feet deep) that has two diving boards. The pool has a Colorado Timing Touchpad System, an LED scoreboard, and updated lighting to reduce glare on the water. The pool has an adjustable bulkhead to change the length of pool for both practice and competition. The pool complex has male and female locker rooms and showers. There is seating for 500 spectators. Concession stands and restroom facilities are adjacent to the pool complex. Penn’s pool has hosted IHSAA sectionals. 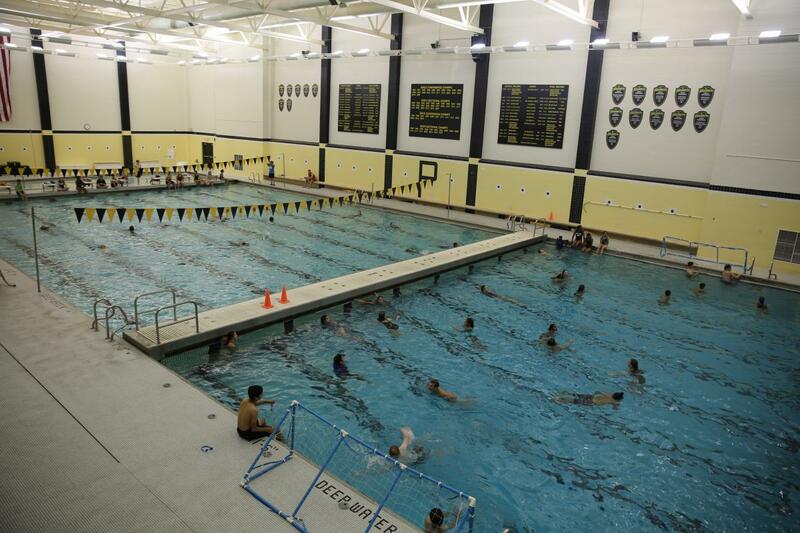 The pool is also used for Penn High School Wellness classes. It is also open to the public for community use and education, and hosts swim lessons for children each summer. The general public is able to use Penn’s Pool as part of P-H-M’s Open Swim program. Click here for more details on the times and cost.